…the Gentlemen write on their whiteboards! If it's not something witty or philosophical, then it’s certainly informative. 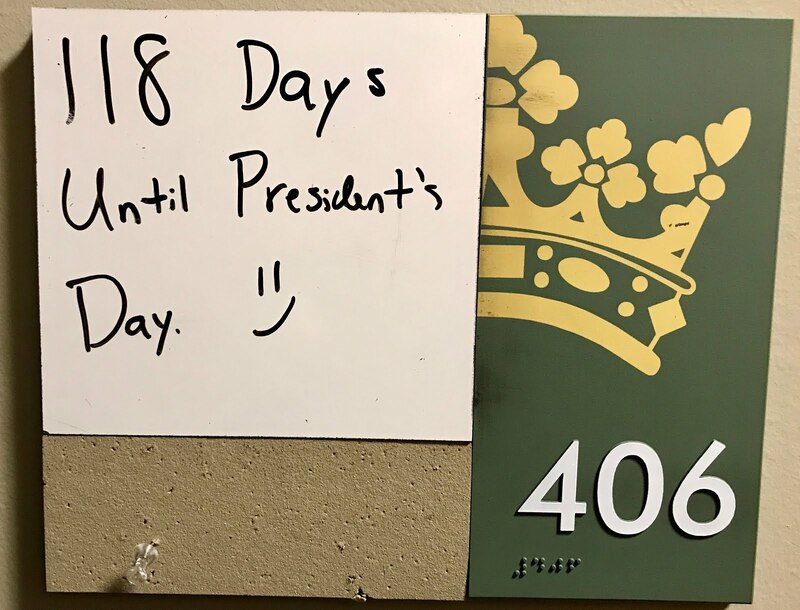 And that's what the residents of 406 must have had in mind with this message on their whiteboard… they wanted us not to forget in how many days banks and post offices would be closed as well as when mattresses would be on sale. 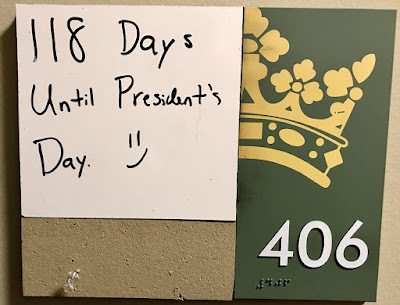 On the reminder, Dan Riley, Senior and 4th floor RA said, "Thanks for the reminder, and I am making the appropriate preparations today...not tomorrow nor 118 days from now."